Rosamond Critcher Sexton of Raleigh, North Carolina moved to her Eternal Home with the Lord Jesus on Sunday, November 19, 2017. A memorial service celebrating her life will be held at 2:00 pm on Sunday, November 26th, at White Plains United Methodist Church in Cary, North Carolina. The family will receive friends following the service in the Christian Life Center. Interment will be private for the family. Rosamond was born on September 13, 1924 in Williamston, North Carolina, daughter of the late Rev. Burrell Duke Critcher and Martha Cotten Crawford Critcher of Williamston, North Carolina. As a daughter of a Methodist Minister, Rosamond had the special opportunity of living in several small North Carolina towns where she formed many lifelong friendships and grew in her love for her Savior, Jesus Christ. She attended Greensboro College earning a BA in music. Upon graduation she married the love of her life, Kenneth Bryan Sexton in 1947. Kenneth entered the Methodist ministry shortly after their marriage and the two enjoyed passionately ministering together for 35 years in eastern North Carolina; Kenneth as a pastor, and Rosamond as a church organist and choir director. Rosamond also enjoyed teaching piano to many dear young people; encouraging each one and highlighting their piano achievements with a formal recital at the end of each school year. 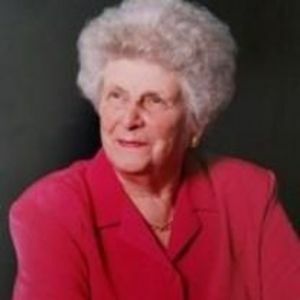 Rosamond's love for music and children led to a 20 year career as a public school music teacher where she encouraged many young people; not only musically, but also concerning their worth in the eyes of a loving Heavenly Father. Rosamond's greatest passion was honoring the Lord through music. One of her spiritual gifts was her ability to combine trained and untrained voices into a beautiful harmony of praise and worship. Second only to her Love of the Lord Jesus, has been Rosamond's love of her family. She and Kenneth, laid a foundation of Christian faith, love and hope that has anchored her extended family to care for others. She also leaves a fond legacy among family and friends which includes her love of chocolate and Duke Sports! Rosamond is survived by her beloved husband of seventy years, Rev Kenneth Bryan Sexton, Sr.; a son, Rev Kenneth Bryan Sexton, Jr. and his wife Pattie of Hertford,; two daughters, Rosamond Edna Sexton of Raleigh and Martha-Duke Ormond, and her husband, Herb, of Greenville; seven grandchildren, Felt Hairr and his wife, Janice, Meredith Groves and her husband, Marshall, Rose Watson-Ormond and her husband, Kemp, Catherine Lukacs-Ormond and her husband, Andy, Anna Shelton-Ormond and her husband, Charlie, Anna Megan Smith and her husband, Henrik, and Bryan Sexton,III; five great-grandchildren, Katie Groves, Michael Groves, Audrey Hairr, Savannah Hairr, and Levin Watson-Ormond; two sisters, Martha "Cotty" Potter, Anna Benson and her husband, Jimmy; 4 nieces and nephews and their spouses and children. The children of Rosamond would like to thank Martha Cotten Potter, Rosamond's niece, and family friends, Ruby Norris and Marlene Huff for the special care and love given to Rosamond in recent past. In lieu of flowers, memorials may be made to the White Plains United Methodist Church Music Ministry, the Salvation Army or the charity of the Giver's choice.